Are you ready to take your training to the next level this summer? Join us at APA for our company audition clinic and auditions, dance intensives, and Fun Fridays! All APA members are invited to join us for the company audition clinic and auditions. 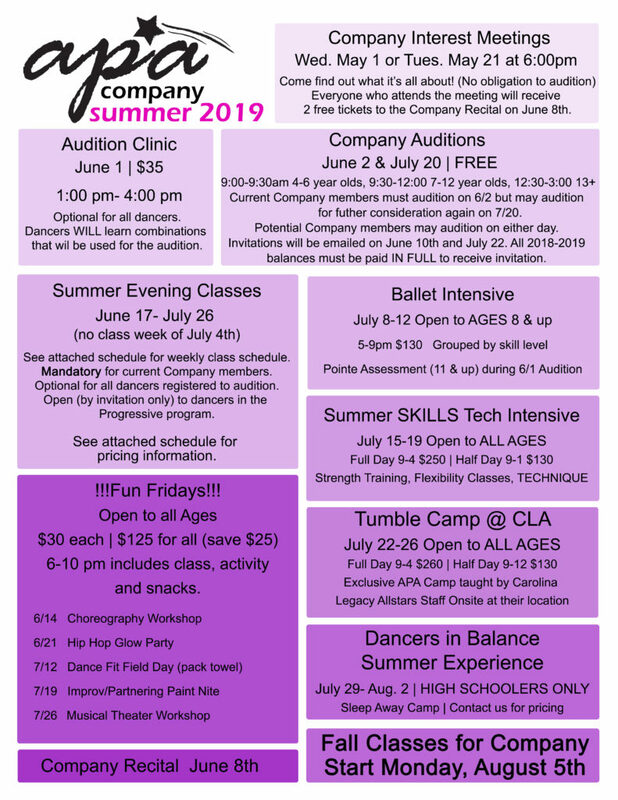 Summer intensives and Fun Fridays are open to current company members and dancers currently in Progressive level classes. If you would like to learn more about our competitive program at APA, we are holding TWO Interest Meetings to give you a better understanding of our Company and answer any questions you may have. Those will be held at the studio on May 1st and May 21st at 6:00pm. If you can’t make it to either Interest Meeting, please contact Brooke Averette, our Company Director. COMPANY AUDITIONS FOR THE 2019-2020 SEASON WILL BE JUNE 2ND WITH A MAKE UP AUDITION ON JULY 20TH. If you are unable to make the June audition, please email Brooke to register for the make up date in July. The company audition clinic is not mandatory, but highly encouraged for all dancers. Dancers will be taught audition combinations during the clinic. There is not an audition clinic for the make up audition in July, however, the same combinations will be taught for the make up audition. Even if a dancer is unable to attend the audition clinic, they will still be able to learn the combinations during the audition. The clinic simply offers dancers more time to practice the material. Don’t miss out on our Fun Friday series this summer! 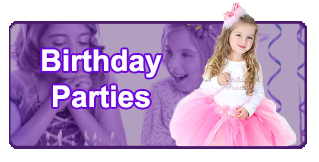 These themed workshops are a great opportunity to try something new while having a blast! Our Fun Fridays are open to all ages, including high school! Bonus, if you sign up for all 5 dates, you save even more!